This brief video post is the first in a series of short video posts explaining important terms or certifications associated with cocoa farming and sourcing. 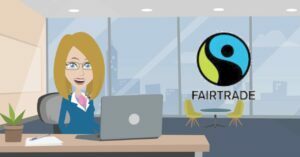 In this post, I will answer the question, “What is UTZ?” Future posts in this series will address Fairtrade certification, B Corp certification, ethical sourcing, direct trade, sustainable agriculture,and the California Transparency Act. Each post will follow the same basic format. I will explain what each term or certification is; when, where, and why it was established; and why it may be important to you. WhenRoy and I created The Go to Chocolate Store, we had a lot to learn about chocolate, especially related to cocoa farming practices, supply chain management and tracking, and human rights. We began to question terms and certifications that we saw on some but not all chocolate products. At first, we thought that these terms and certifications were just marketing tools to be ignored, but we were wrong. These certifications and terms are important indicators of the quality of the chocolate and of the ethical values of the chocolate maker. We’ve learned that there is more to world-class chocolate than cocoa content. 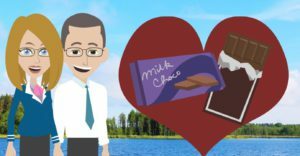 I believe that many of you reading this post have the same questions and concerns about chocolate that Roy and I had. 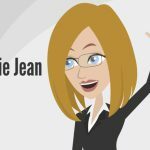 So,in this and the next several video posts, I will address several of the most important terms or certifications you may encounter. UTZ Certified products are produced to the UTZ Standard which operates through two sets of guidelines. First, there is the Code of Conduct which covers the growing and harvesting process. Then, there is the Chain of Custody which tracks products from when they leave the farm until they arrive on the store shelves. The Chain of Custody is the set of rules that address the precise tracking of all UTZ certified products through the supply chain. This tracking takes place from the time the products leave the farm until they arrive on the store shelves. When was UTZ Certified Established? On 7 March 2007, the Utz Kapeh Foundation officially changed its name and logo to UTZ Certified. On 10 October 2007, the Cocoa Program was launched. In 2009 the first UTZ Certified cocoa products reached the market. In 2012, 13% of the cocoa produced in the world was UTZ Certified (535,000 Million Tons, out of global production of 2,889,000 Million Tons). By 2014, UTZ Certified is the largest program for sustainable farming of coffee and cocoa in the world. Over336,300 cocoa farmers from 16 countries are UTZ Certified. Where was UTZ Certified Established? Why was UTZ Certified Established? UTZ Certified was established with the goal of implementing sustainability on a large scale in the worldwide market. Sustainability, as used here,encompasses human rights/safety and environmental protection. Why is UTZ Certified Important? Eating fine chocolate is an indulgence, usually well-deserved, and depending on the chocolate, sometimes expensive. Yes, the nutrients in cocoa have some great health benefits and positive mood enhancing properties. Read “What You Need To Know About The Health Benefits of Dark Chocolate for Men, Especially Husbands.” But let’s be honest. 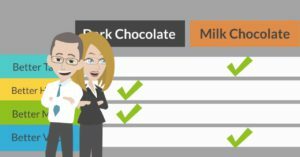 Most of us don’t eat fine chocolate for its health benefits. We eat chocolate because we love it. So, we should be able to enjoy eating fine chocolate without guilt. In my opinion, eating UTZ certified chocolate is one way to feel good about this small indulgence. 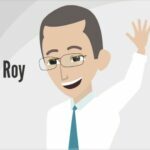 If you read Roy’s post, “How To Know If The World’s Finest Chocolates Are World-Class,” you know of Roy’s and my concerns about the sourcing of ingredients used in some chocolate products. We have made the personal choice to only promote or purchase chocolate products made with ingredients that have been sustainably grown and harvested without the use of any forced labor. UTZ Certified is one of several different labels that you may see on the chocolates you purchase here at The Go to Chocolate Store. This is strong indicator that the ingredients in your favorite chocolate have come from sustainably farmed and slave-free sources. By purchasing fine chocolates that are UTZ certified or similarly certified, you are making a powerful statement in favor of environmental protection, public safety, and human rights. So, you can enjoy your favorite fine chocolates while knowing that you are making a positive difference in the world. Displayed on over 10,0000 different products in 116 countries, UTZ Certified is one of several indicators that the ingredients used in your favorite chocolates were grown with sustainable farming methods. UTZ Certified operates through two sets of standards. First, is the Code of Conduct which encompasses safety, farm management and record keeping, and employees and environmental protection. Next is the Chain of Custody which addresses the precise tracking of all UTZ certified products through the supply chain from the farm to the store shelves. Established in 2002, UTZ Certified is now the largest program for sustainable farming of coffee and cocoa in the world. At The Go to Chocolate Store, we offer chocolates with UTZ or comparable certifications or programs as evidence that the chocolates you purchase from us are made with ingredients from sustainably-farmed and slave-free sources. If you found this article informative and interesting, please take a moment to Share us and Like us on your favorite social media site. So much valuable information. As I tend to buy organic whenever I can it is good to know what to look for. Your store is so amazing, I would buy all your products. Because all is organic and fair trade I don’t have to feel guilty for my pleasure. What sugar-free or with stevia only brands do you recommend? Thank you for the comments. I have only recently become more conscious of the need for low-sugar or sugar-free chocolates. Gnosis Chocolates are sugar-free and hand made with a fabulous recipe of organic, direct source cocoa, herbs, and other organic ingredients, but shipping costs may be prohibitive. But they make truly great chocolates. I will review our current product line and add more quality products that I can comfortably recommend. I will get back to you as soon as I know more. Thanks again. Organic Coffees and Chocolates Plus FREE SHIPPING – It’s All Good!